Home Cryptocurrency news Ripple: Is that the XRP Bull Run? Ripple: Is that the XRP Bull Run? 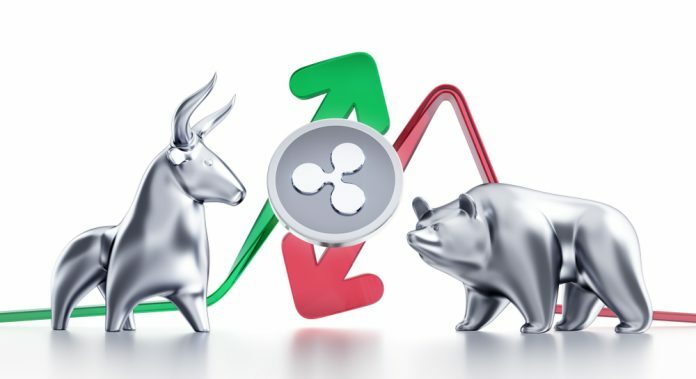 The ripple price (XRP) has rallied strongly over the last few hours. For a short time, Ripple rose to second place in market capitalization, overtaking Ethereum. Can you already speak of a bull run here? Ripple or the XRP token has passed the $ 0.50 mark and is currently in good shape. In the meantime, the 24-h increase has been a clue to the 20 percent mark, and we are in the double digits. Understandably this raises the question: is this already a bull run or just ordinary volatility? A look at the facts. Well, whatever you think and say about Ripple and XRP, partnerships are not lacking. As a recent report by Picolo Research indicates, it is above all the famous institutional interest that is currently growing in comparison to bank credit. The product xRapid makes ripple and XRP especially interesting for larger investors. In this context, Picolo Research goes so far as to say that XRP is currently undervalued. But what does the technical analysis say about the current price rise? 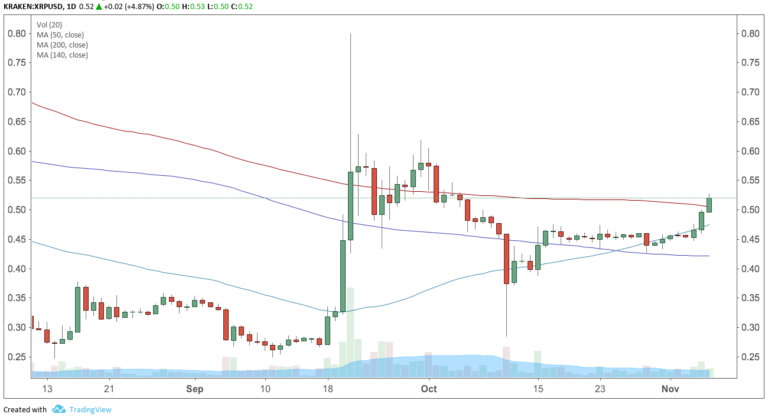 The XRP price has been higher than the moving average of the past 20 weeks for two weeks, shown as MA140 in the daily chart. Taking the technical assessment of the moving average as the basis, this is a clear indicator of a bull market, as we explain in detail elsewhere. In addition, the price of Ripple today could rise above the MA200. You can dare to open a long position and aim for the first target of 0.58 US dollars. Other targets are $ 0.68 and $ 0.73. As a stop loss you can use the MA200, which currently stands at $ 0.51. This one should follow suit: especially in the case of a bullish crossing between MA200 and MA50 you should use the latter as a stop loss. 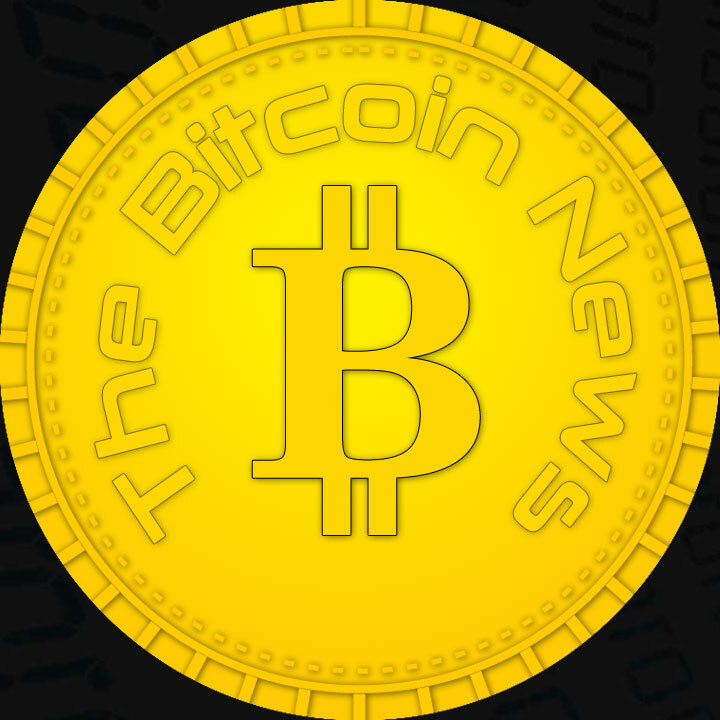 The bullish signals from the Altcoin market analysis in combination with the above-mentioned results of the study thus leave bullish hopes.